Einstein once said, “Genius is 1% talent and 99% percent hard work.” It's fun to create fashion editorial; it's equally gratifying to achieve the greatest challenge of transforming mundane copy into artistic masterpieces. Deluxe Entertainment Services Group Inc. is in the business of traditional and digital cinema post production services. Clients include major motion-picture groups such as 20th Century Fox and Universal Studios. As true leaders of innovation in the entertainment industry, they demand excellence at every detail. Fashion is all about image. Thus when it comes to even the most analytical processes and practices it is key to iterate brand core values and design through and through. 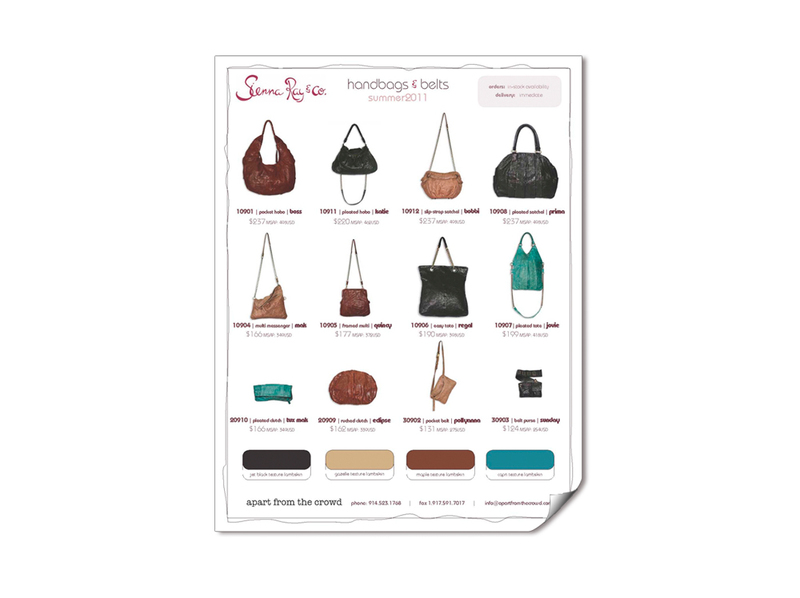 With Sienna Ray's business to business communications we mirror the styling that won over their dedication consumer. Linesheets, purchase orders, to press releases there was also a reason and action to make room for allowing the playful energy to sit front and center.